Pravets Golf & Spa are looking forward to the up and coming season and happily are seeing a few returning faces. In particular, Pravets are delighted to see an increasing number of Golf Professionals travelling with their clients and using Pravets as a venue for tournament weeks, golf breaks and specifically Coaching Camps. The combination of the picturesque golf course, practice and academy facilities that would grace any venue in Europe, along with the onsite Riu Hotel with superb spa and leisure facilities, makes it an ideal venue. Professionals have their own private areas to work in, can utilise the superbly equipped swing studio’s as well as indoor classrooms. Pravets are delighted to see UK based PGA Professional Gary Pike returning for a 3rd straight year with his “Golf Tuition Holidays”. Gary spends a number of weeks in Pravets, with a different set of clients arriving each week. 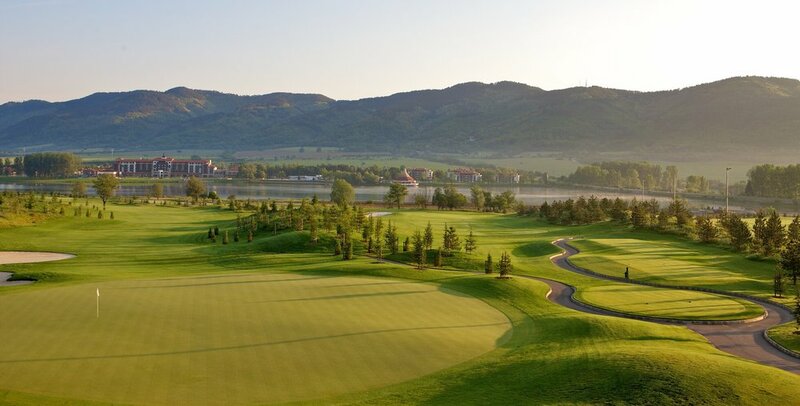 Gary added “Pravets has amazing practice facilities, a superb golf course and comfortable hotel. Along with the service we receive from Alan and his team, that covers everything I require to host a successful golf coaching week”. Gary joins Professionals and returning groups from the UK, Sweden and Romania and we will be welcoming new Professionals with their members from Russia, in what we project with be Pravets busiest season so far. Pravets hosted the UniCredit PGA Professional Championship of Europe for the past 6 years and golf professionals from over 30 countries have visited each year. The aim was to give them the best tournament experience and this continues in providing the visiting Professionals with the facilities and service to ensure their clients have a great experience. Pravets offers packages for Professional led groups that can be tailored to the requirements of each Professional and his travelling clients. Please contact Kameliya Staykova at Pravets Golf Club on +359 882 550 813 or email info@pravets-golfclub.comfor rates and further details.